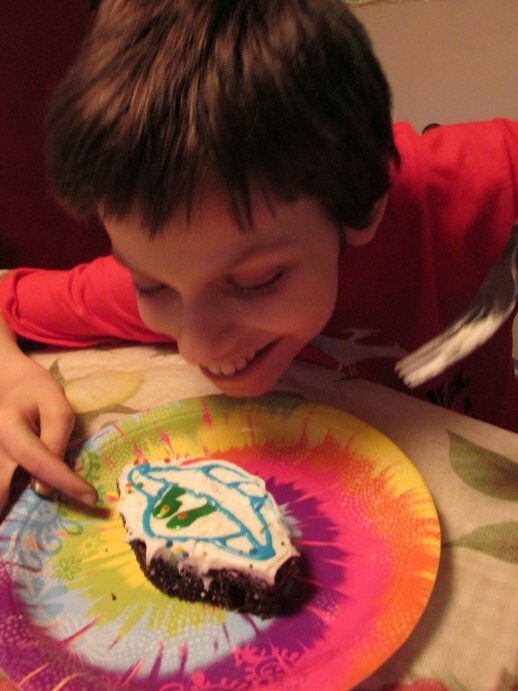 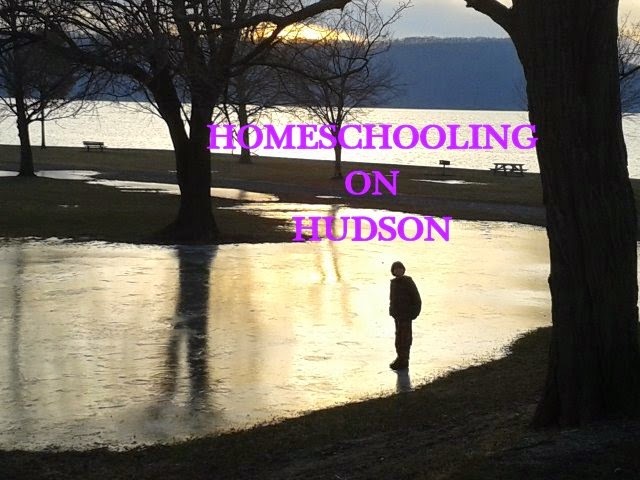 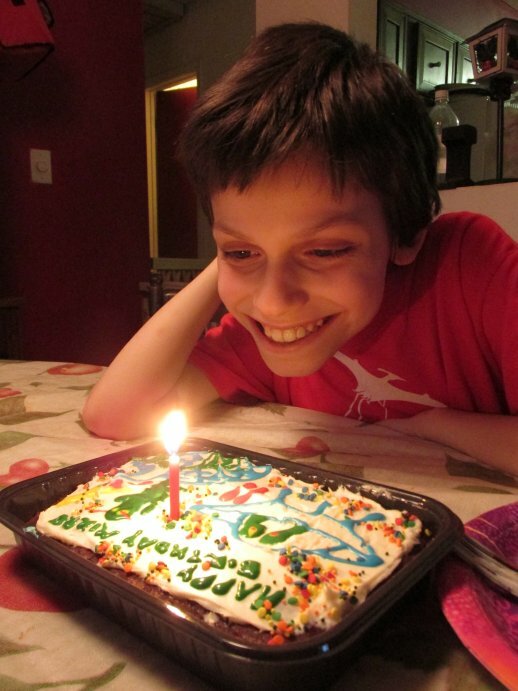 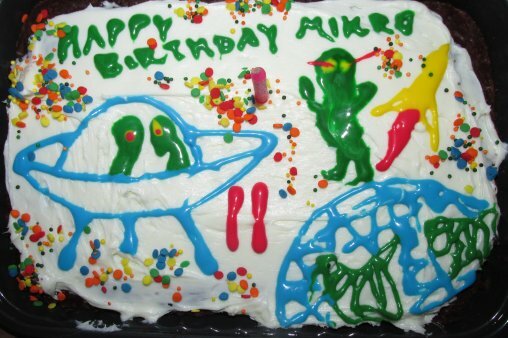 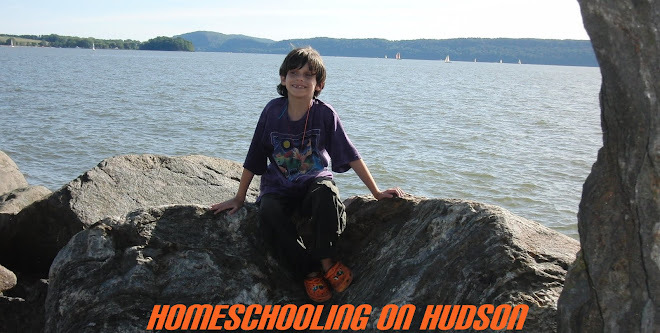 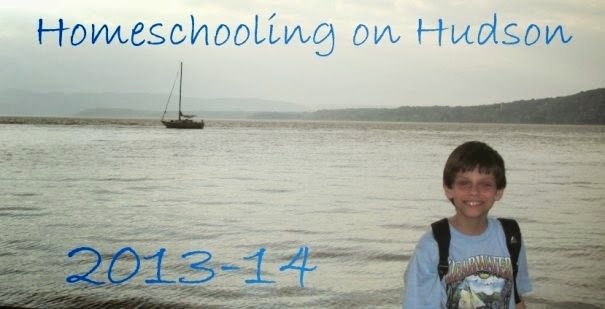 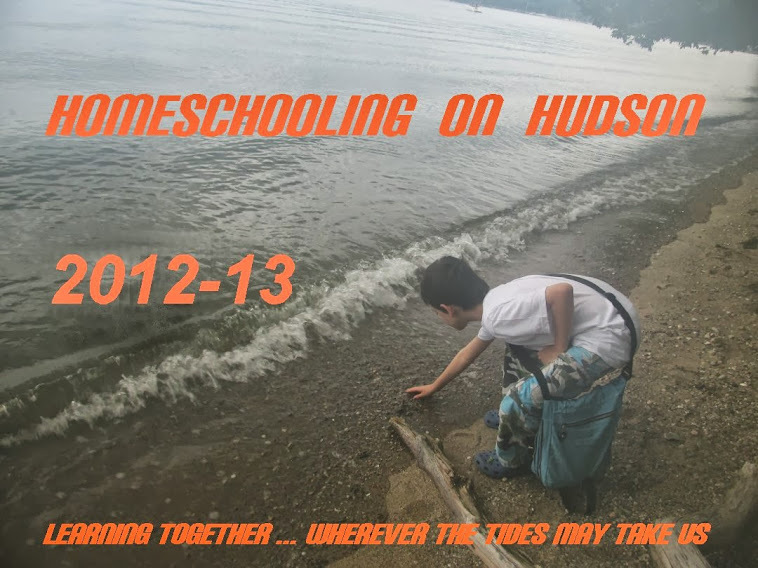 Homeschooling on Hudson: Happy 11th Bday, Mikro! 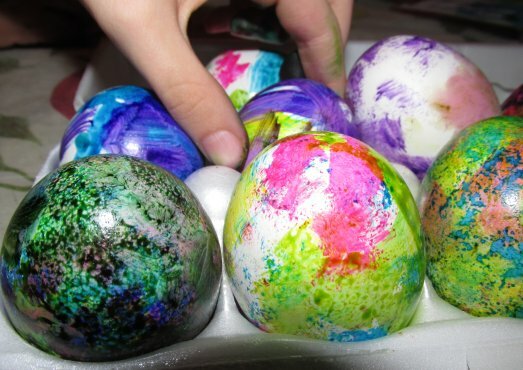 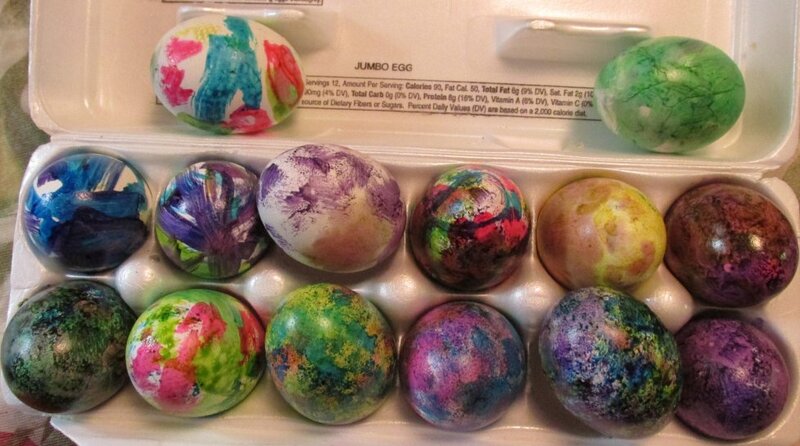 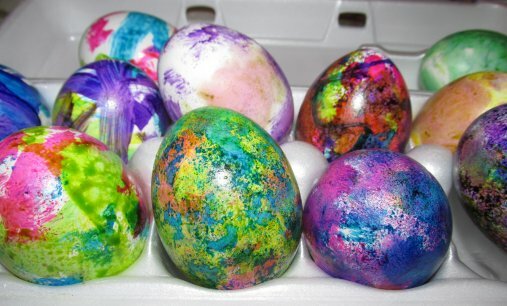 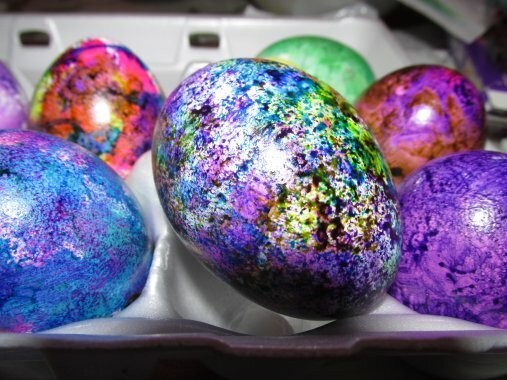 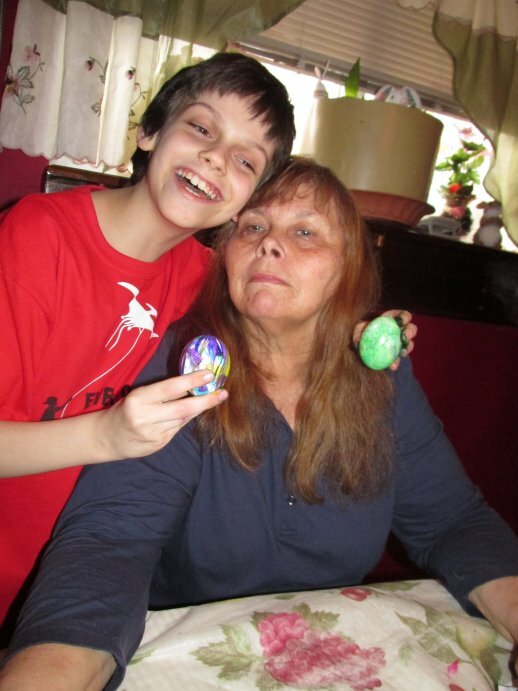 Two family traditions got combined today, as we spent Mikro's 11th birthday at my parents' house, coloring Easter Eggs (as we do every Good Friday.) 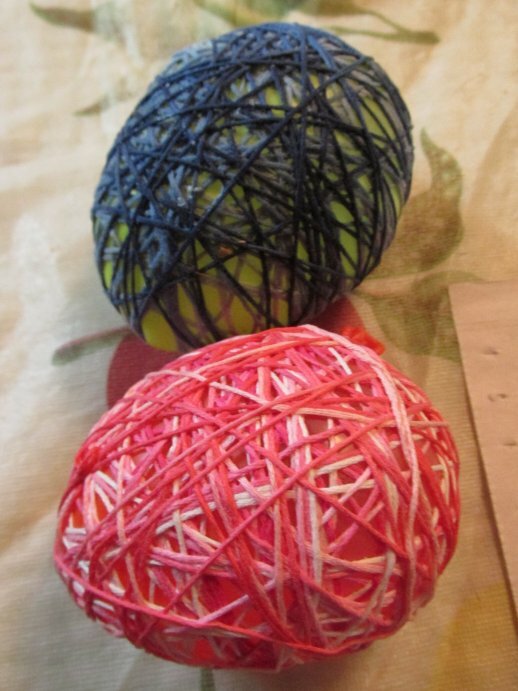 We brought them each one of the thread eggs that we made this week. 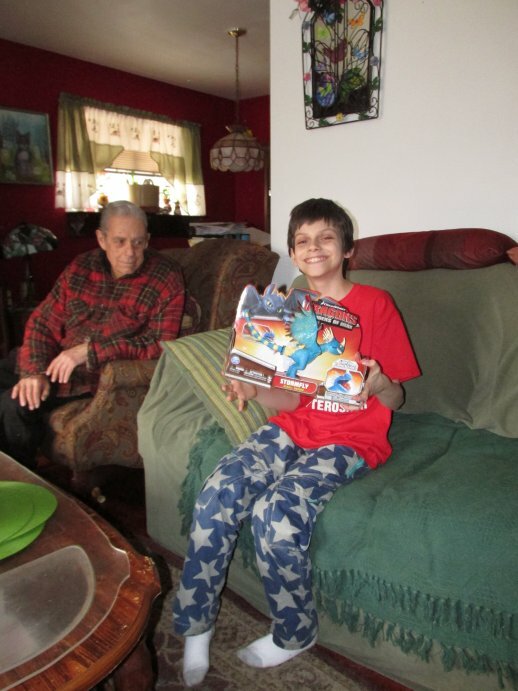 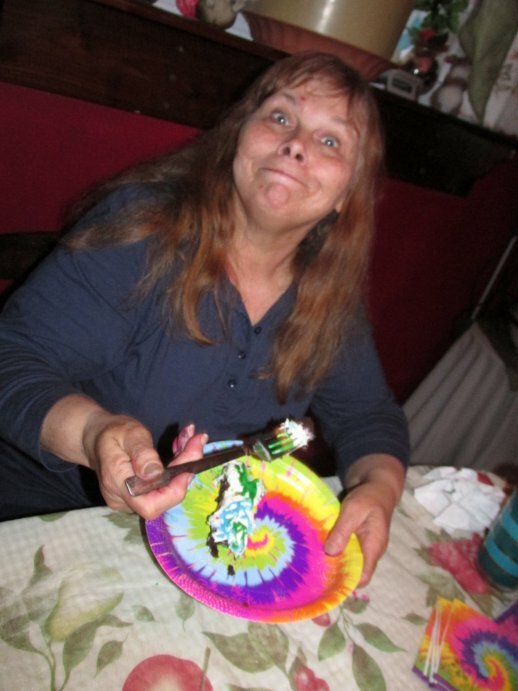 Mikro really enjoyed his alien brownie, but even more, he was happy to be getting to spend time with gramma & grampa... And the presents didn't hurt, either. 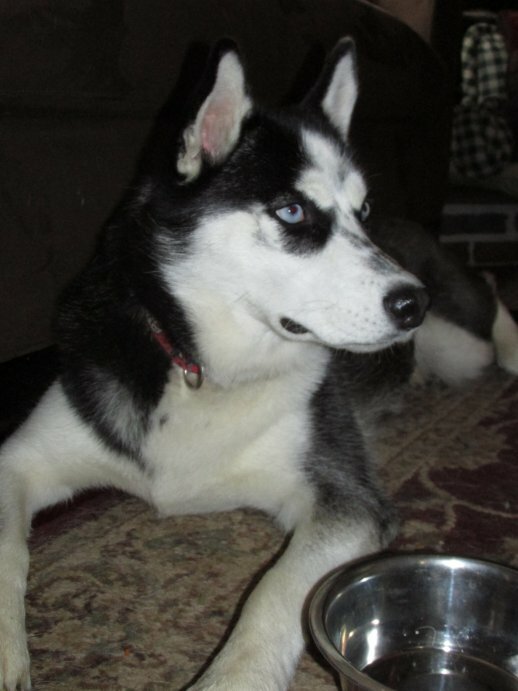 Rascal, my parents' Husky puppy, was disappointed not to be joining us for cake, though.